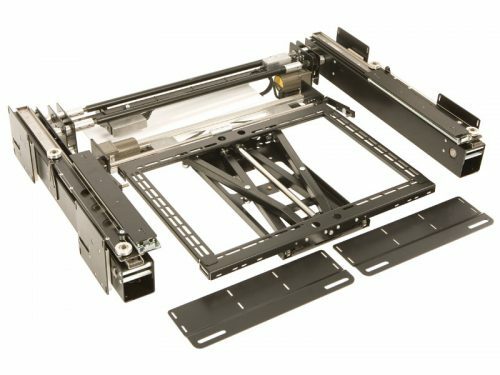 The Sliding Panel Mechanism is our reference moving panel mechanism and allows complete concealment of a flat screen TV. The mechanism takes a panel inwards and moves it out of sight behind the surrounding panel work before advancing the screen to sit flush with the wall. A distinctively brilliant design, this one-of-a-kind sliding mechanism offers the ultimate in look, functionality and wow factor. Available in a host of options, theSliding Panel Mechanism allows you to design a wall or cabinet with complete freedom.